For those who may be unfamiliar -- which hopefully is no one -- the Heurich House Museum in Dupont Circle is the historic home of Christian Heurich, a German immigrant who became Washington, D.C.'s biggest brewer during the late 19th and 20th centuries. For over 80 years, the Christian Heurich Brewing Company played an important part of the local culture, providing tasty brews to thirsty Washingtonians. Unfortunately, much of that culture was lost when the brewery in Foggy Bottom closed in 1956 to make room for the Kennedy Center. None of Christian Heurich's beer recipes are known to have survived and the District of Columbia went without another production brewery for over 50 years. Well, this year, a local homebrewer attempted turn back the clock. Scouring records at the Smithsonian and the Historical Society of Washington, Mike Stein pieced together the recipe for one of Christian Heurich's pre-Prohibition Lagers based on invoices, marketing materials and his own knowledge of the brewing process. His work was a fabulous surprise to the folks at the Museum, who then worked with Mike and DC Brau (the first production brewery in Washington since the Heurich brewery closed) to scale up the recipe and serve it to the public. The recreated "Heurich's Lager" is available in select bars and restaurants until it runs out -- which might be soon, considering it's DC Beer week -- so hurry to get yourself a taste. We can say from personal experience that it's delicious! Watch the video above to learn more about the fascinating process. 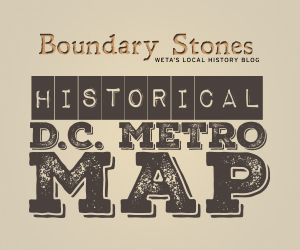 Also, make sure to check out the blog posts by Heurich House Executive Director Kimberly Bender on The Location and Mike Stein on DC Beer. A new online exhibit at the Jewish Historical Society of Greater Washington explores Jewish life in D.C. and Alexandria during the Civil War.